Uppsala is announced to be Sweden’s most climate-friendly city. 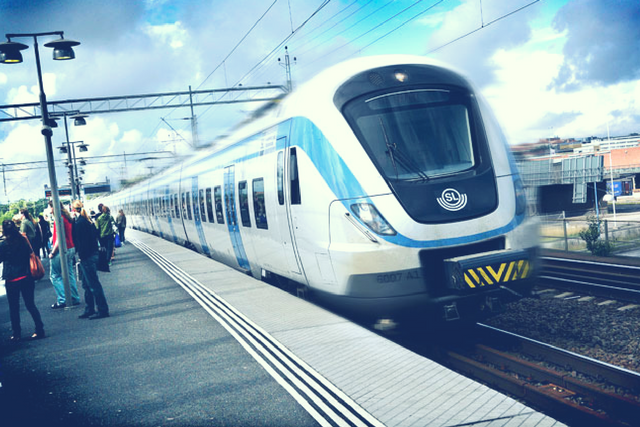 Uppsala is easily reached by train in just 38 minutes from Stockholm and 18 minutes from Arlanda Airport. To and from the airport, you can continue to Uppsala comfortably by both the airport buses and direct train, with departures from SkyCity. During the day, buses and trains depart twice an hour. And it is just as easy to travel between Uppsala and Stockholm. We highly recommend you, if possible, to consider traveling to Uppsala by train. Bus 801 runs between Arlanda and central Uppsala throughout the day. The journey takes approx. 45 minutes. You can purchase tickets with a credit card on the bus, but cash is not accepted. There are also vending machines at Arlanda airport terminals 2, 4 and 5 where you can purchase a one way ticket (credit cards only). There is a small price reduction when buying tickets from the vending machines compared to onboard the bus. Trains leave Arlanda Airport for Uppsala Central Station directly from Sky City next to Terminal 5. The journey time is approx. 20 minutes. Taxis leave from outside of the arrival hall. The journey time to Uppsala is about 30 minutes and the cost is approx. about SEK 495. Make sure to ask the driver for a fixed price in advance. You can pay by credit card or by cash. Please see map of the NERA 2019 area, incl. conference venues, hotels, and venues for the social events, below.